At first sight, I have to admit I thought these shoes looked a little odd. They’re like trainers - but on steroids, with a built-up, chunky sole. I thought they’d feel a bit chunky once on, but actually I was very pleasantly surprised. The sole didn’t feel raised or chunky at all, in fact, I felt I had a good connection with the ground and could ‘feel’ the path when walking over uneven ground. 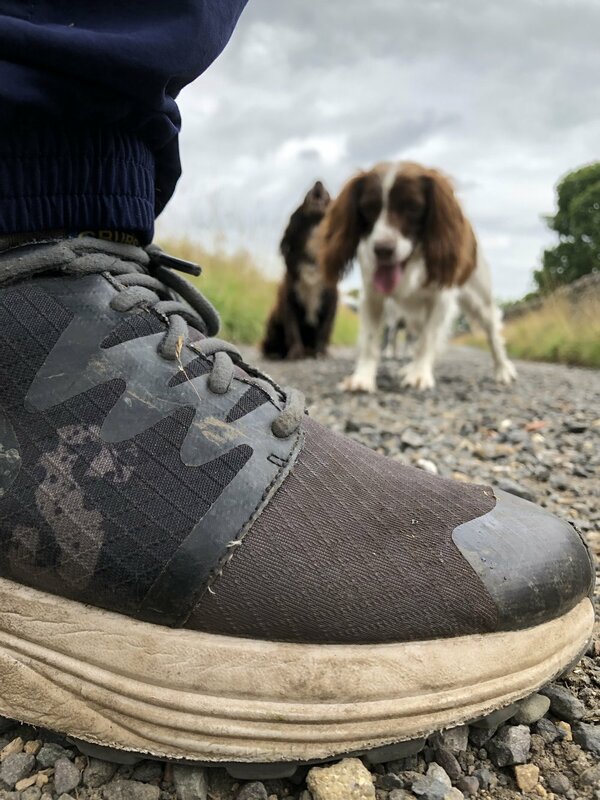 They were extremely comfortable, and in fact the first time I wore them I walked eight miles in them with no discomfort or rubbing at all – they didn’t seem to need any wearing in. I chose my usual size, which is a five, and they fitted very nicely. The backs are just high enough to support your heel, without making them a pain to get on and off. 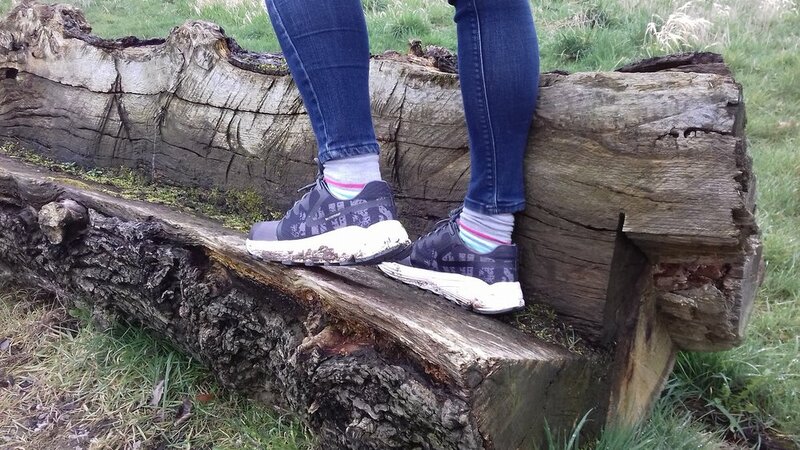 I have unusually high arches to my feet which can sometimes result in shoes rubbing against the top of my foot, but there was no sign of that with the Discover Shoes. 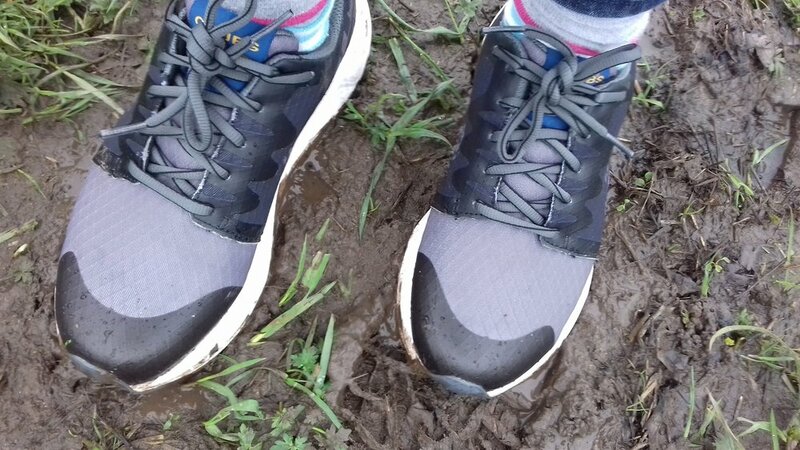 I’ve now worn them in rain and mud and can report they’ve been completely waterproof. I think these wouldn’t be robust enough to use on the yard in the winter, but they’d be fine in summer if you weren’t riding. Where they really come into their own, though, is for walking – whether it’s a quick trip across the field or a more strenuous scramble. So far, I’ve been wearing these shoes almost continually for about three weeks and they still look fresh out of the box (OK, so with a little added mud!). They’re not cheap, but this is the price I’d expect to pay for decent quality walking boots and I think these shoes fall into a similar category. I’m expecting these to see a lot of wear during the summer months.